Managing payments can be a daunting and time consuming task which is why our Accounting module includes automated invoice matching. Furthermore the Accounting system will allows for full automation. Launch, track and automate inventory across all Web Marketplaces. Real-time inventory information such as product location and item count is precise and transparent. Merchandise purchased through the Marketplace will deducted from the inventory database. Centrally manage your product information and market With PIM (Product Information Management) you will be able to create, manage and adjust data such as product attributes and characteristics can be easily found and identified when searched. Manage and validate online orders with ease. The Order Management and fulfillment component will allow you to process Marketplace orders with speed and accuracy. Quickly assess how each Marketplace(s) and listed products are performing by analyzing, comparing and reporting on every aspect of operations. Track, manage and report on vendor and product performance right down to the style, size and/or color. 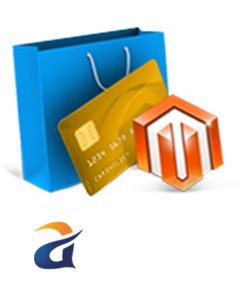 In order to further enhance your total e-commerce solution we offer a variety of different "add-ons" which can become a part of your entire system. These add-ons will be helpful to increase the value of your webstore offering.